Proud “Marys”. The Supreme Fabulettes in action. Photograph: Courtesy of Kevin Wilson PR. The Supreme Fabulettes are back, and this time glitzier and more dazzling than ever. Their new show, directed by none other than Kylie Minogue’s Creative Director, William Baker, is a full length romp through the decades with close harmony singing tighter than their corsets and more impressive than their weaves. For this show, they chart the 50 year story of their group, shedding light on a disgraced fourth member, Silver Summers, and introducing their Aussie dresser and “Drag Mother”, Sheila Simmonds. All the trappings of what’s expected of a drag show are there; catty remarks, dubious double entendres, high barnets, and glittering outfits that put QVC’s Diamonique hour to shame. But what’s truly astonishing is the mixing of slick musical numbers with the standard campery creating a combination that is both rib-tickling and genuinely entertaining. What’s more, the group never mime any of their songs. Everything is sung live and sung brilliantly. It’s done so well that there are moments that are so pitch-perfect that you’re actually surprised that what you’re hearing isn’t pre-recorded or doctored in any way whatsoever. As for the show itself, the shtick is more outrageous than ever, causing the entire audience to whoop and howl with laughter and delight throughout the entire evening. Some of the highlights are a marvellous tribute to Kander and Ebb classic Chicago, and irreverent swipes of Pierce Morgan and TV talent(less) show, The Voice. But all is not perfect in this sparkling spectacle. The country music medley, which included new song ‘A Drag Queen is a Cowboy’s Best Friend’ penned by Boy George (which in itself is quite fun, see below), was the weakest part, being not as confident and feeling less inspired than any of the other routines. Also, the original trio of Vicky Vivacious, Portia de Fosse, and Vanilla Lush are sometimes upstaged by their guests. Sheila Simmonds’ entr’actes are side-splittingly funny with banter as marvellous as it comes, and Silver Summers is one of the most astonishing male vocalists I’ve ever heard in heels and a wig, with a rendition of ‘The Crying Game’ that will knock your socks off. Although both Silver and Sheila are incredible and superb additions to the show, it’s a shame that they distract from the rapport and candour of the founding members that has been one of the keys to their success thus far. 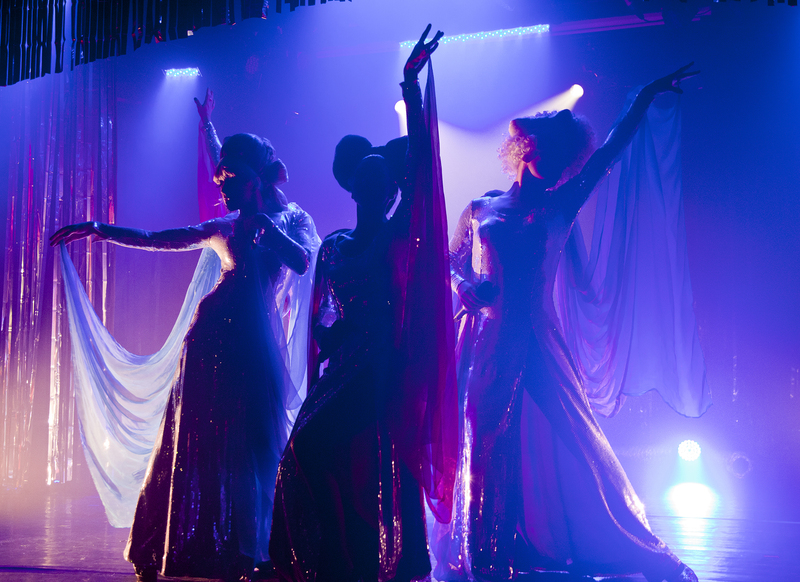 But overall, the Supreme Fabulettes take drag to dizzying new heights, redefining the art of female impersonation with all its kitsch and cliché sensibilities into something that is genuinely enthralling and original. A divine night out that is more fun than you can have with your shirt off. Viva La Drag plays at the Leicester Square Theatre, London, WC2H 7BX, until 29 June 2013. Tickets are £22.50. To book visit www.leicestersquaretheatre.com.